What makes us a great deli? The food we serve, of course. We’re talking about delicious breakfast choices, like bagels, turnovers, muffins and our signature Hungry Man breakfast sandwich, paired with a gourmet coffee. It’s sandwiches, piled high with Boar’s Head brand meats and cheeses, made-to-order. It’s hot entrees, ready to serve. 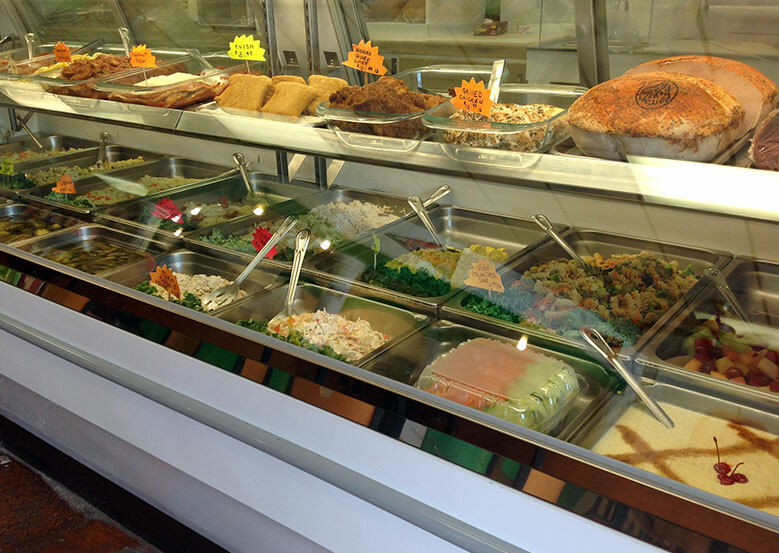 It’s deli trays of meats, vegetables, salads, sandwiches and more. To assure we’re a really great delicatessen, an authentic New York style delicatessen, it takes commitment to serving great tasting, wholesome food at prices that are a true value. In the Deli case at Long Island Eatery, you’ll find fresh salads made daily, Boar’s Head brand meats and cheeses , sliced-to-order, and prepared hot entrees that make serving dinner easy. All available for eat-in at the deli or you can buy in bulk to take home. You’ll always find a great selection of seasonal salads and fruits. And in our bakery case, there are muffins, turnovers, seet buns and other tempting baked goods. 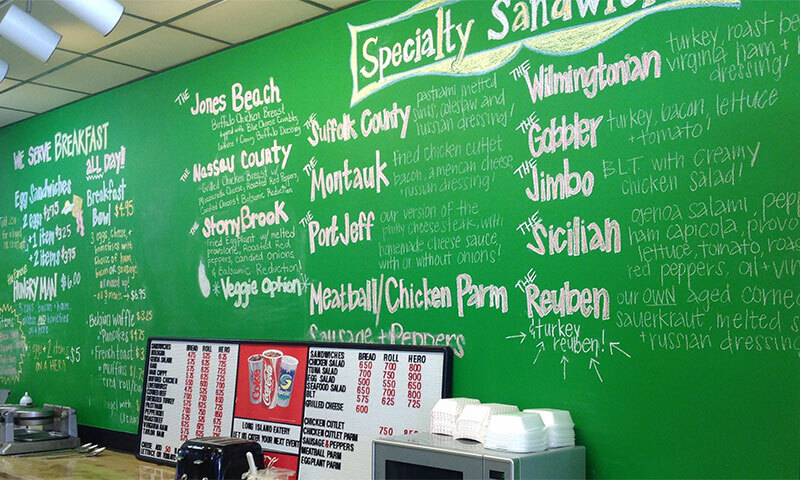 This is the cornerstone of our genuine New York deli, not on Long Island, NY, but right here in Wilmington, NC. If you haven’t discovered us yet, please come see why we have so many loyal customers that come back time and again for friendly service and great food. Whether you dine with us here or take it back home or to the office.